So my first attempt at making homemade pasta turned out sort of “meh”. The noodles were way too big and they just didn’t taste very good (I assume I over or under cooked them). 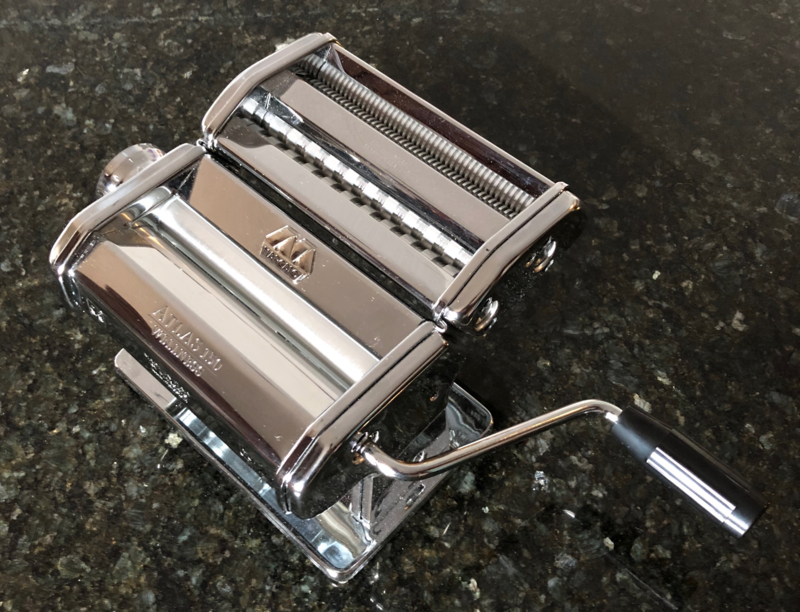 So I went to Amazon and bought myself the Marcato 8320 pasta machine. I made a quick batch of dough over lunch to try it out and I have to say I love the machine so far! You start at setting 0 on the roller and work your way up to 9 which is the thinnest setting. I was really happy with how well the machine worked! Then I dumped the pasta into a pot of boiling water for a minute and it turned out great! 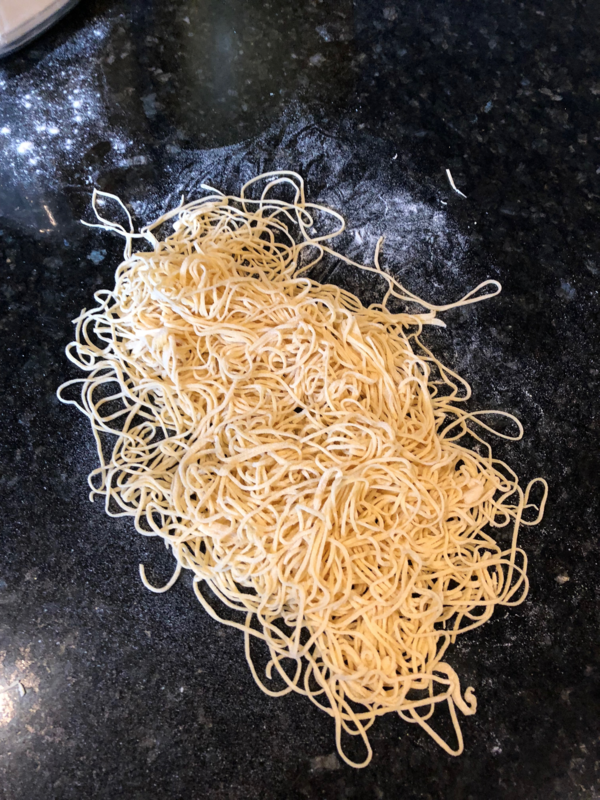 It was more like ramen noodles so I think next time I’ll try out the fettuccini or the thin again but with a thicker sheet. 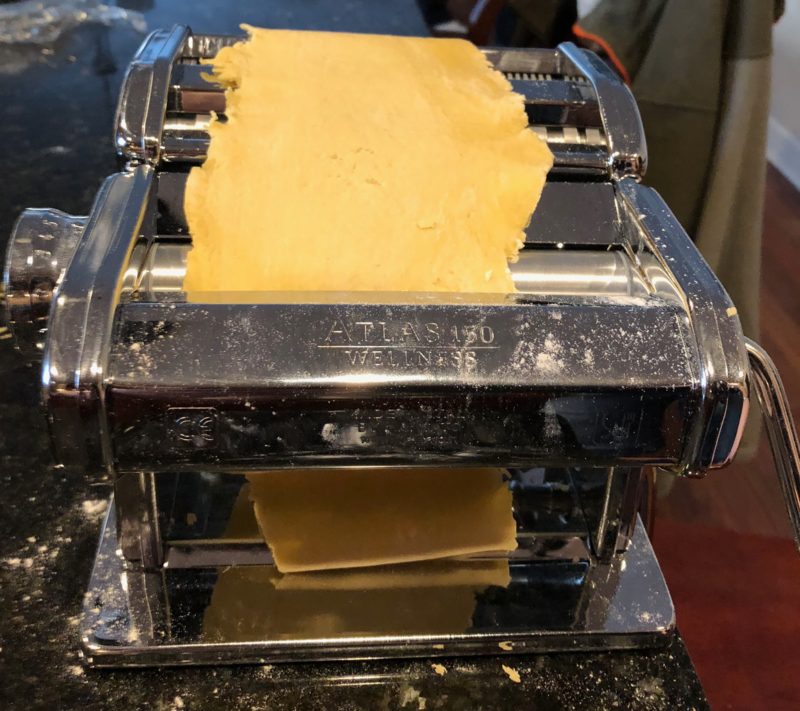 Im glad it worked out, I think this is how I’ll be making pasta going forward.